I am long overdue for a post but I have been super busy lately. So I've had a lot I wanted to post about but couldn't decide the best way to present it. I just came to the conclusion that it might be best to condense a few fun days into one post. Living in Japan is a lot of fun, but it can be really isolating at times. It's difficult to make friends in a place like where I live (not a city like Tokyo), especially if you're not fluent in Japanese. It's also hard to have people to talk to because all my friends are in an entirely different time zone. Despite all of that, I have met some really wonderful people in these short few months here. Kaila is amazing! When I first discovered her blog, Rainbowholic, I was so happy because I felt like I could relate to everything she said. Reading her posts makes me so happy. 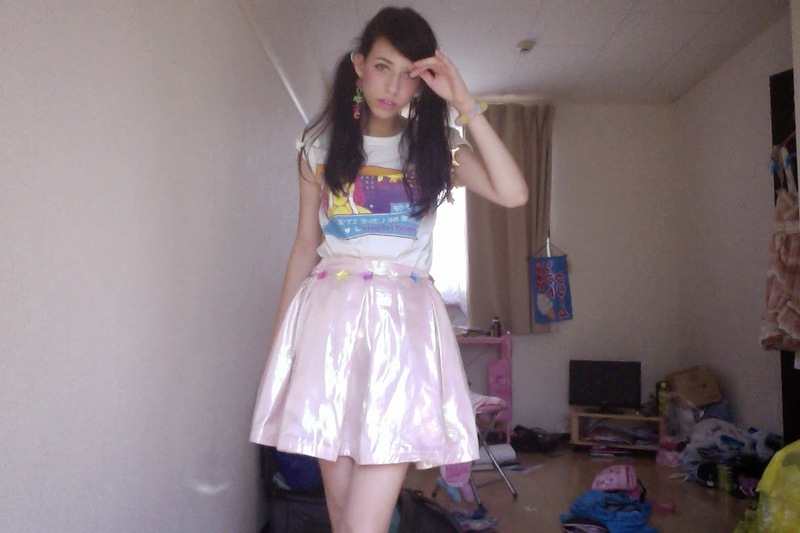 She's definitely my favorite ~kawaii~ blogger and I highly recommend that you follow her on Facebook and Instagram too. Because I love Kaila's blog so much, I was beyond excited that she wanted to hang out with me! I have to admit that I was a little bit starstruck even though that might seem a little extreme. 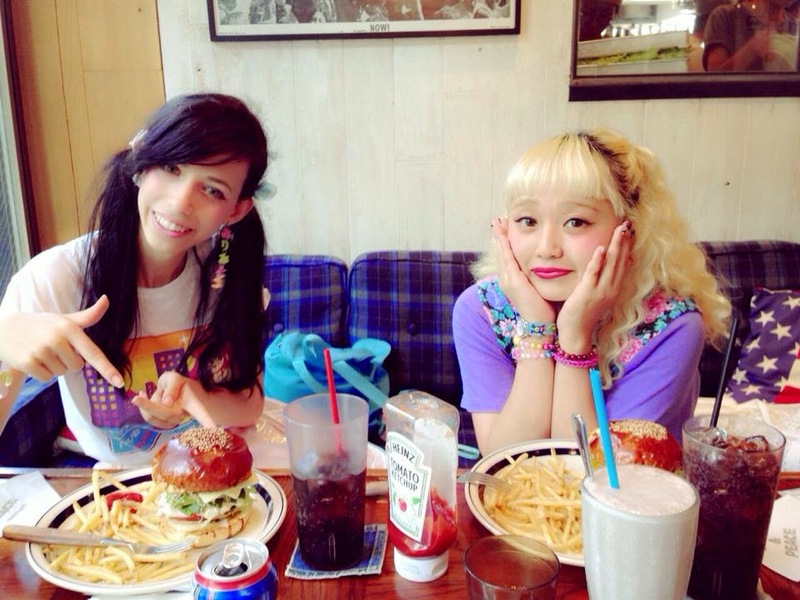 We met up at DECKS, a mall in Odaiba and got lunch. 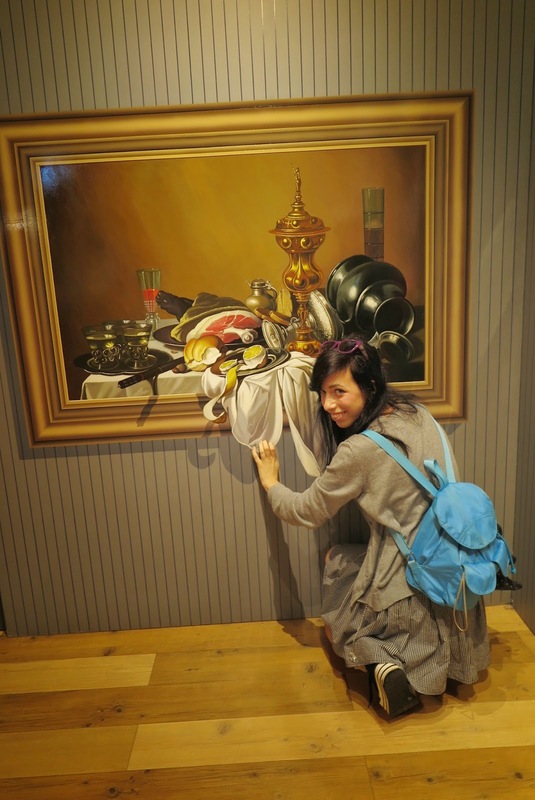 Then we went to the Trick Art Museum that was also in the mall. 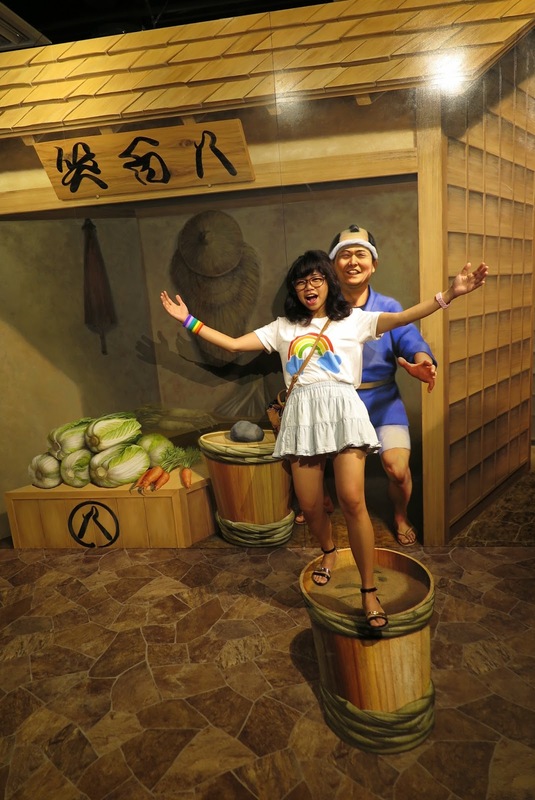 It was a little pricey, but we got to take as many photos as we wanted. So maybe it's worth it? Here are some photos Kaila took for you to decide for yourself. She also showed me this cool retro part of DECKS that's kind of old Japan themed. I forget the name of that robot thing. Does anyone know? 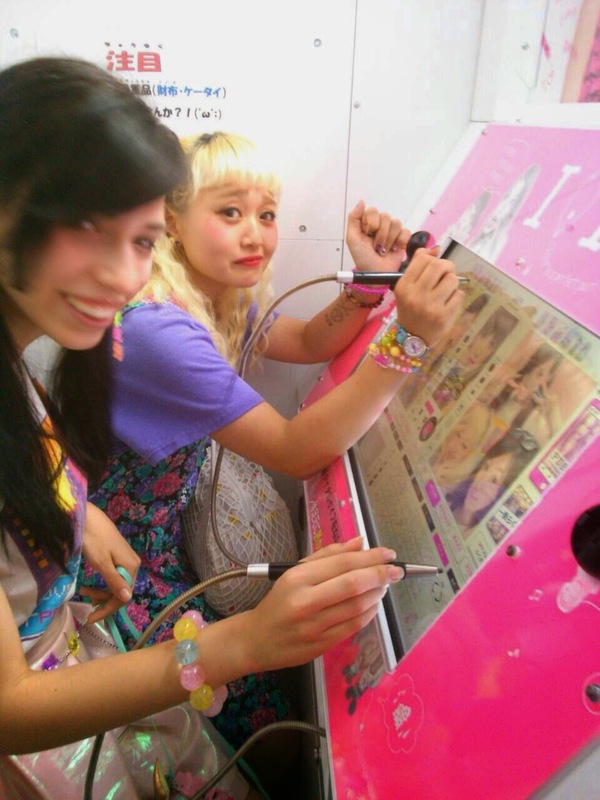 This Sailor Moon arcade game was perfect. 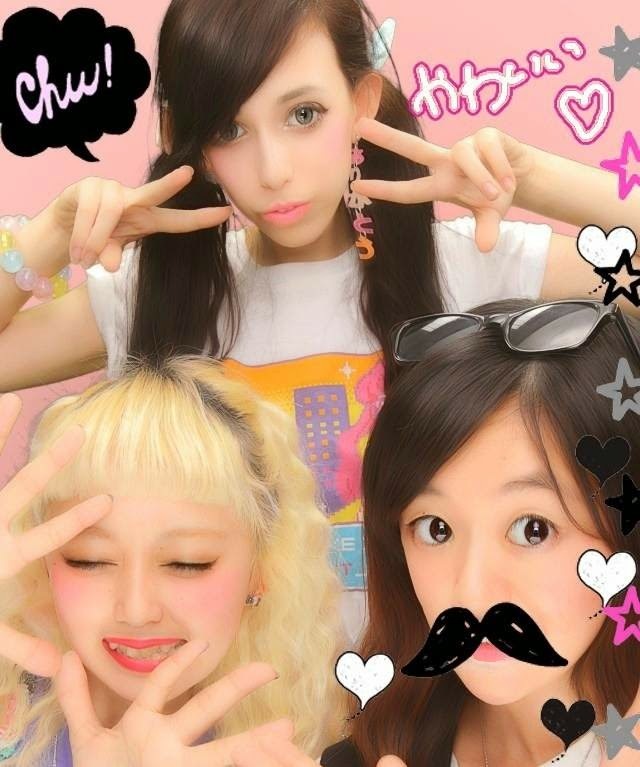 We also took commemorative purikura photos because that's always necessary. We just couldn't get them on our phones because it's confusing so this will have to suffice. I had so much fun hanging out with Kaila and I can't wait to see her again. I'm so grateful to have been able to meet someone that I feel like I have known forever even though we had just met for the first time! I'm looking forward to the future of our friendship and hope we can create and experience many things together! 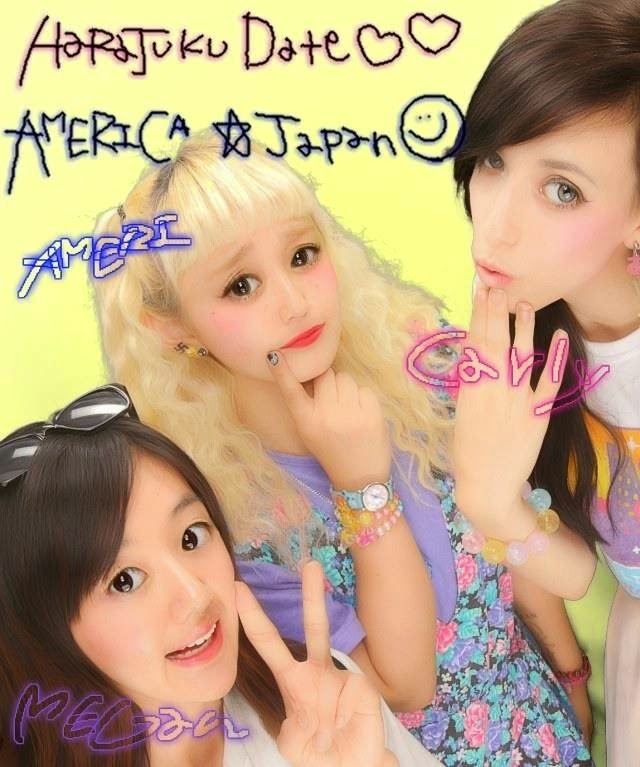 My other new friend is Harajuku's Takeshita Dori Spinns shop staff, Ameri! I went into her store once and saw her working and loved her style. A day or so later, I realized that I already followed her on Instagram as per my friend Kaley's recommendation. I started talking to her on there and after seeing her at work again, we decided we should hang out! 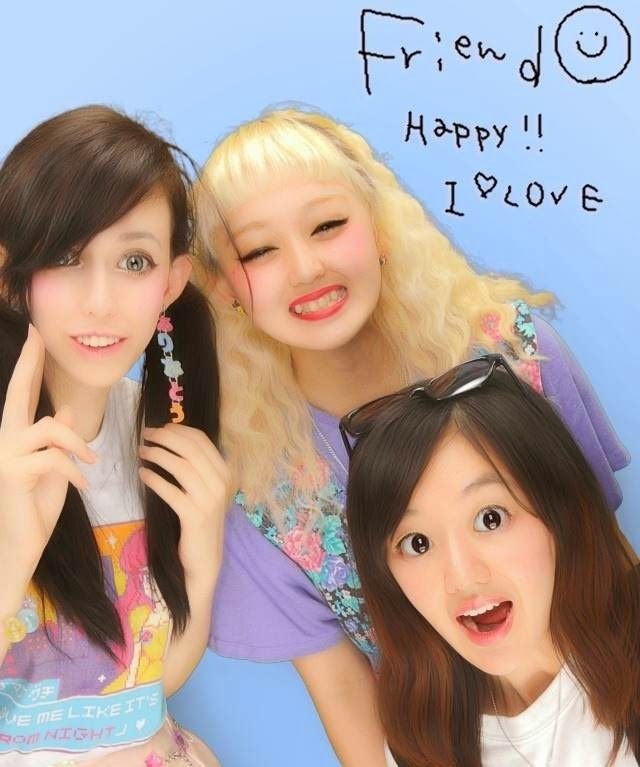 So my friend Megan and I met up with her in Harajuku last weekend. Ameri is so cute because she's like the opposite of me as in imagine if I was Japanese and loved American things as much as I love Japanese things. Her name isn't actually Ameri. She just goes by that because it's a cute, shortened version of "America". That's probably the best execution of a nickname I've seen. She doesn't know much English but I like that because it means I get to finally practice speaking Japanese. Most other people just want to speak in English with me. 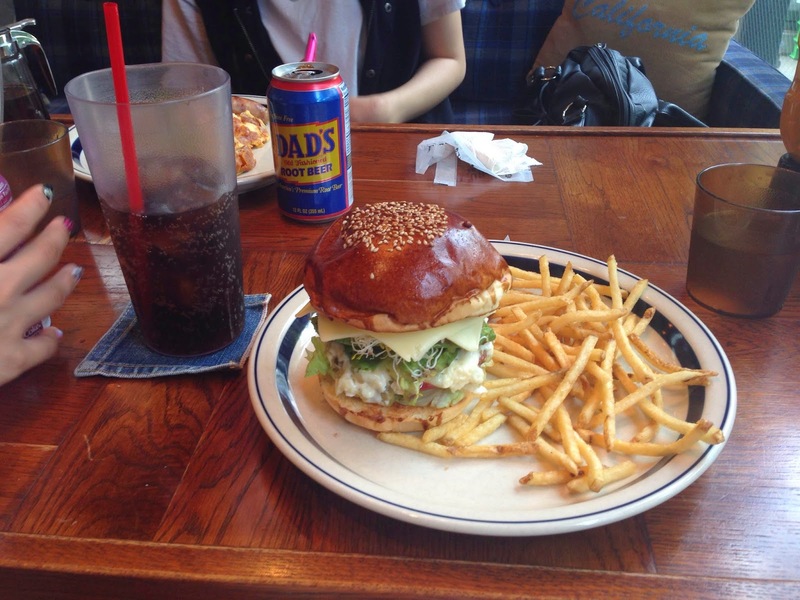 We went to The Great Burger for lunch. 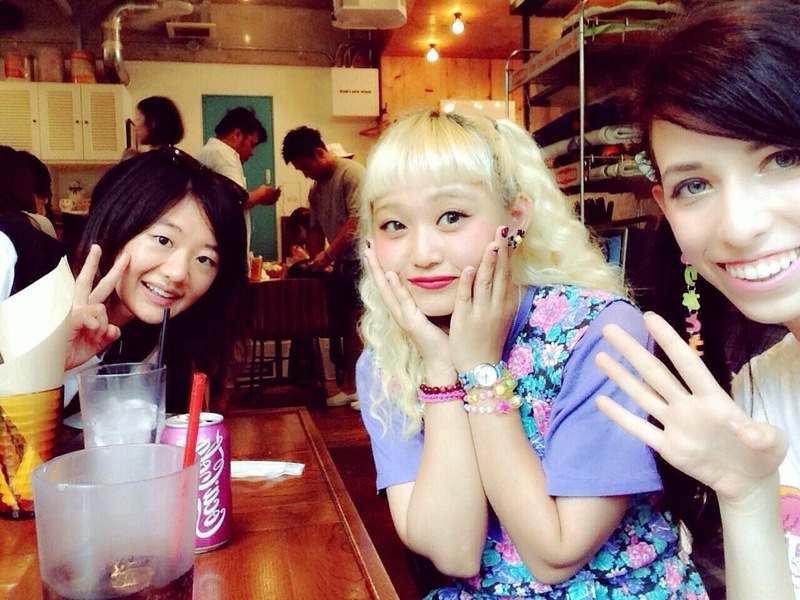 I knew about this restaurant because model/designer Seto Ayumi always posts photos of herself eating there. It's supposed to be like an American burger place and they do a pretty good job but it's still a little funny. The menu had a million options of burgers and breakfast foods- they even had bagels! But I spent so much time thinking about burgers so I went with one of those. I don't eat beef so I got the vegetarian option which was basically just vegetables and cheese with no burger but it was really good and I couldn't pass up the chance to have root beer. 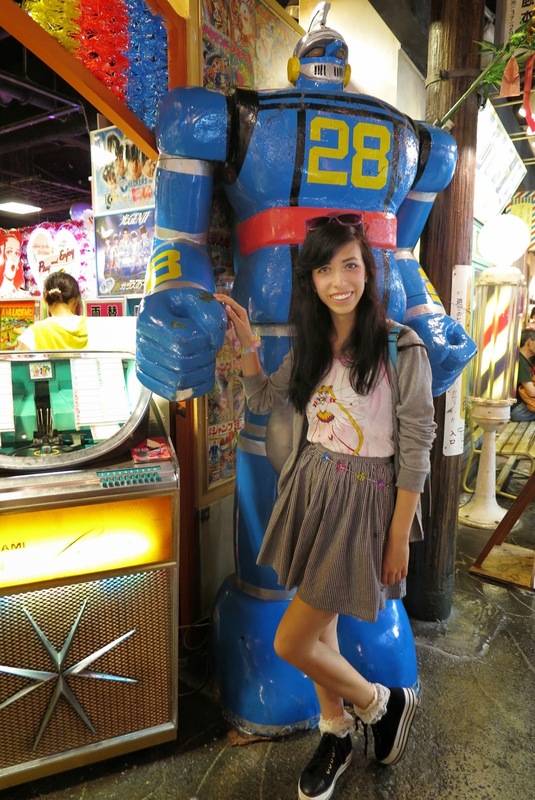 Then we walked around Harajuku a bit. 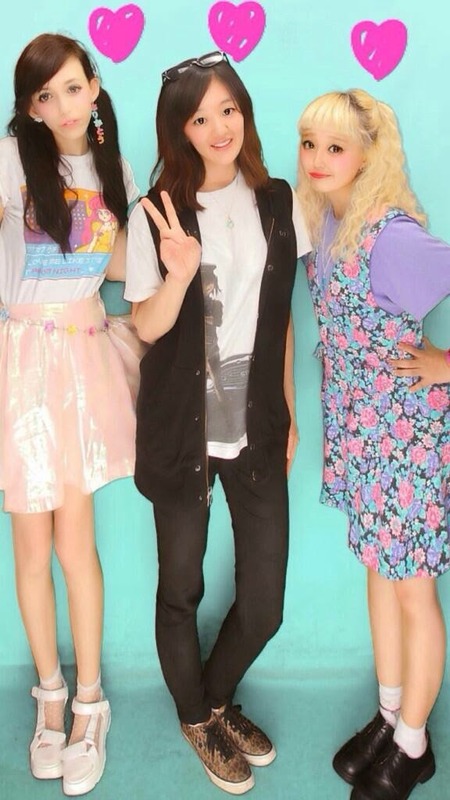 I went into Pin Nap for the first time and the shop staff were really cute and friendly. Then Ameri showed us this really cool American toy store called Spiral. It reminded me of the store Toy Tokyo in New York but with American toys instead of Japanese ones. It was like going back in time to my room as a kid. And it's right near the Mishka store so naturally I went in to check out the Buffmonster and Adam Wallacavage pieces. 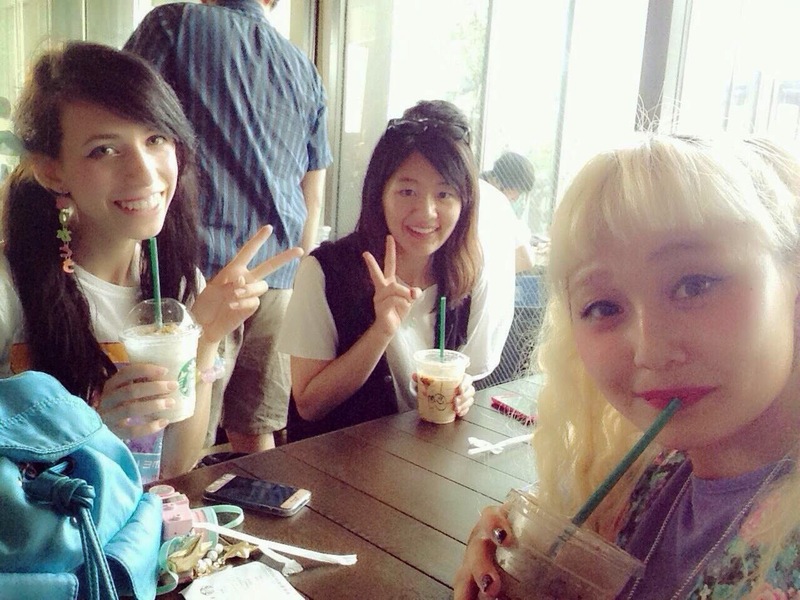 We were thirsty and wanted coffee but the main Starbucks in Harajuku was so crowded. Luckily, Ameri showed us one inside a mall. Now I never need to go to the popular Starbucks again. 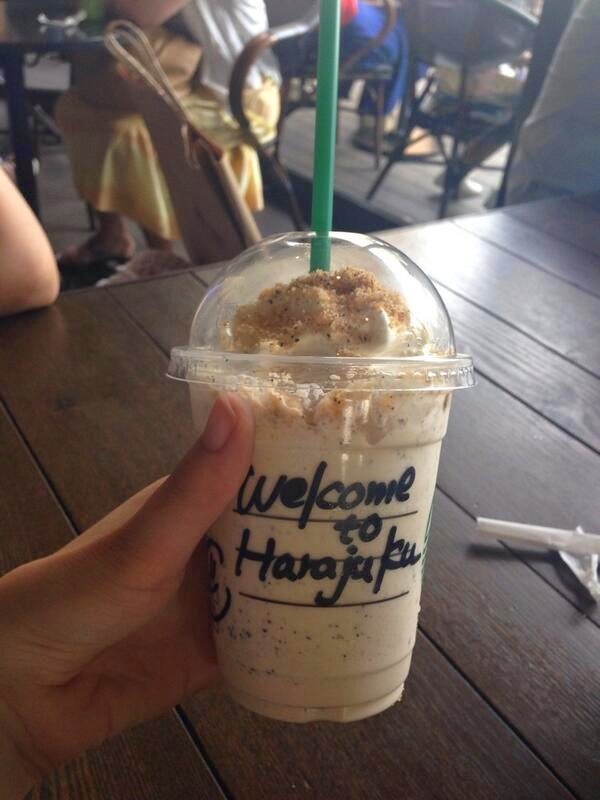 I got a milk tea frappuccino because coffee jelly was sold out, a true tragedy although this was rather good. I will get my hands on one eventually. I feel like I'm always wearing a variation of the same outfit but it's because I couldn't bring much clothing here and it's been so hot so my options are limited. I think what I wore this day was really cute though so I will leave you with a breakdown. 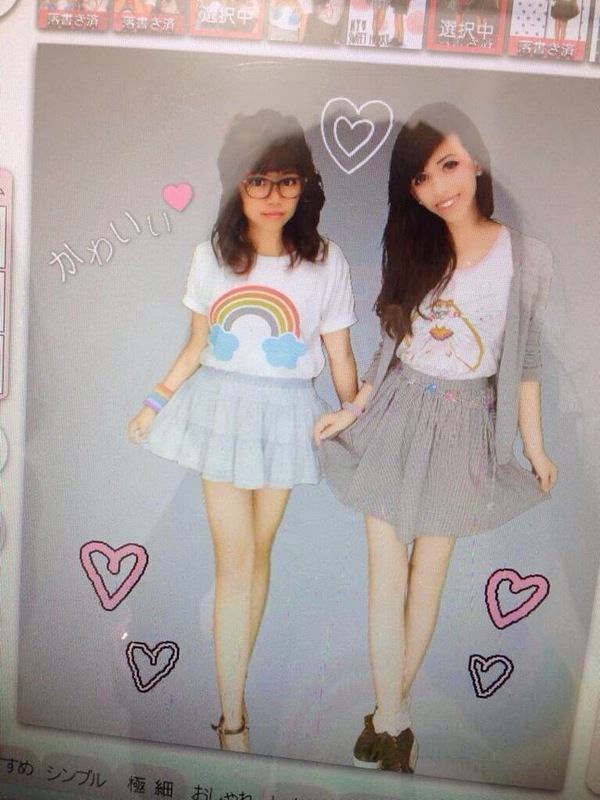 For my socks/shoes, please see the purikura above with my legs looking like a Pullip doll. Perhaps someday I will have a full length mirror and/or a personal photographer to take outfit photos with. Until then, there's photobooth. As always, feel free to ask any questions here or in the comments. Yaaay so cute im glad you are making good friendships and hope you can continue to make connections and have as much fun as possible!! !